X Series’ evolution into the 4th generation Complete upgrade with the all-new back-illuminated 26MP X-Trans CMOS 4 (*1) sensor and X-Processor 4 image processing engine Superb image quality and enhanced ability to track a moving subject with substantial AF performance improvement and blackout-free burst shooting. 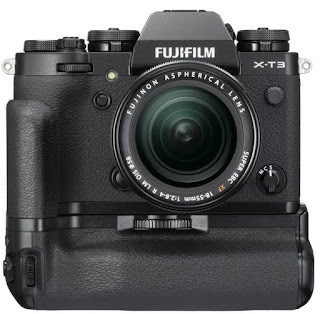 The X Series began with the 2011 release of X100 globally. 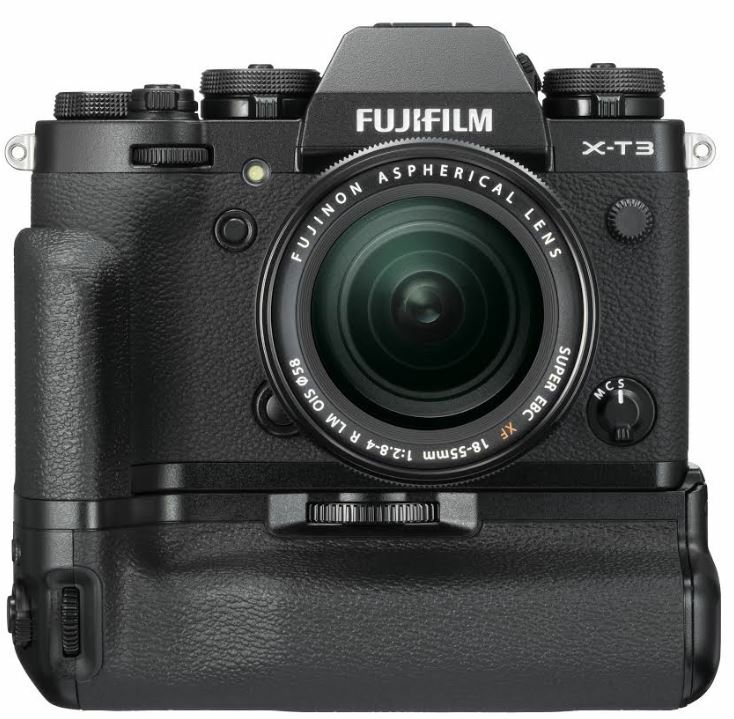 The X-Pro1, released in 2012, became the first model to feature the X-Trans CMOS sensor, which uses a unique color filter array based on FUJIFILM’s extensive photographic expertise to achieve exceptional image-resolving performance and control of false colors at the same time, as well as the EXR Professor Pro image processing engine compatible with the sensor. 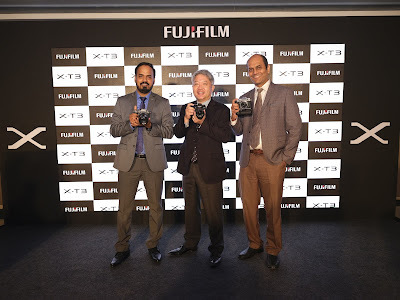 For seven years, the X Series and its sensor – image processing engine combination have continued to evolve, with the company unveiling “X-Trans CMOS II” / “EXR Processor Pro II” in the X-T1, released in 2014, and “X-Trans CMOS III” / “X-Processor Pro” in the X-Pro2 and X-T2, released in 2016. The three generations of evolution have constantly advanced the X Series’ image quality and mobility. 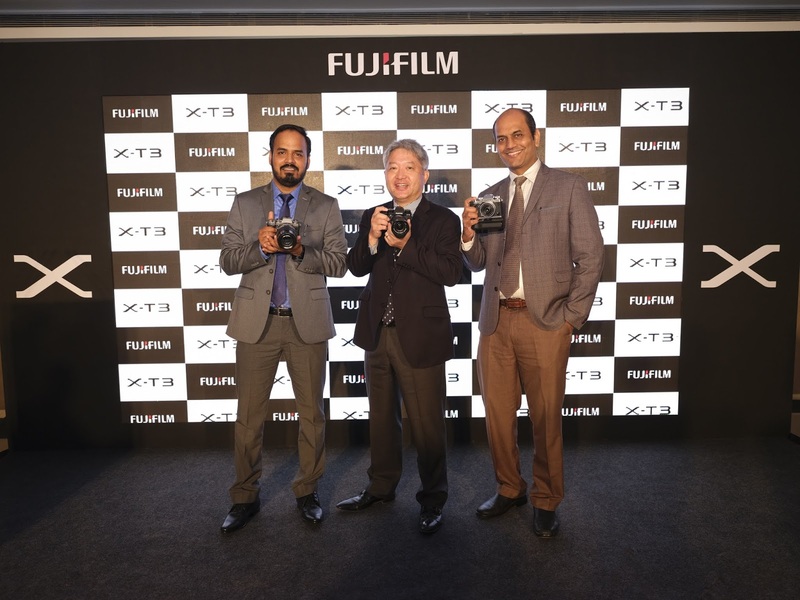 The X-T3 takes full advantage of the capability of these fourth-generation devices to enjoy significant performance improvement. Higher image quality: Highest level of 26.1MP resolution in APS-C size sensor. Also, it achieves keeps as low level of noise as current models (*2) even increasing the number of pixels. Dramatically improved AF performance: 1.5 times faster processing speed than current models (*2) to deliver faster and more accurate AF, and substantially enhanced performance in face / eye detection AF thanks to 2.16M phase detection pixels arrayed at entire frame. Significant improvement in tracking performance of fast-moving subject: Delivering blackout-free continuous shooting (*3) of up to 30 fps while using smooth Live View of 60fps to check your subject. Video performance for professionals: Supporting 4K/60P 4:2:0 10bit internal SD card recording as well as 4K/60P 4:2:2 10bit HDMI output, which can be filmed at the same time. Also, featuring the video-specialized Film Simulation mode “ETERNA,” popular with the X-H1. Image Sensor - 23.5mm×15.6mm (APS-C) X-Trans CMOS 4 with primary color filter. Full HD（1920×1080) High speed rec.] 120p／100p 200Mbps(recording) up to approx. 6min. Battery life for still images*7 Approx. 390 frames (Normal Mode) When XF35mmF1.4 R is set. (http://www.fujifilm.com/support/digital_cameras/compatibility/card/x/ ) to check SD memory card compatibility.